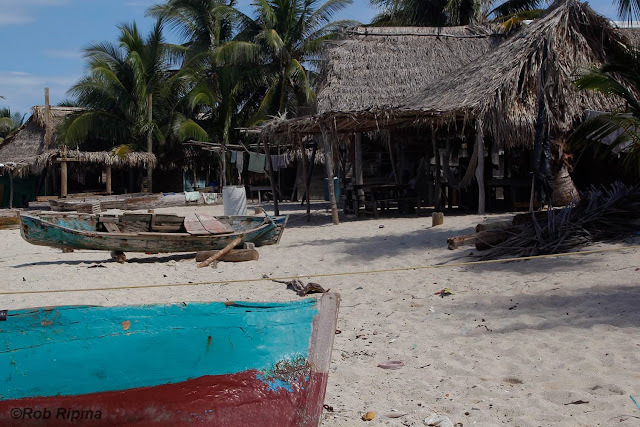 On our final day in Honduras, we decided to take a trip out to Cayos Cochinos. 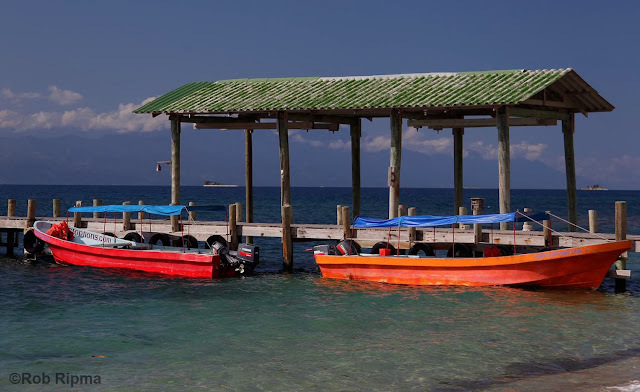 Cayos Cochinos are a group of two small islands and 13 even smaller cays located about 12 miles off of the north coast of Honduras not far from La Ceiba. 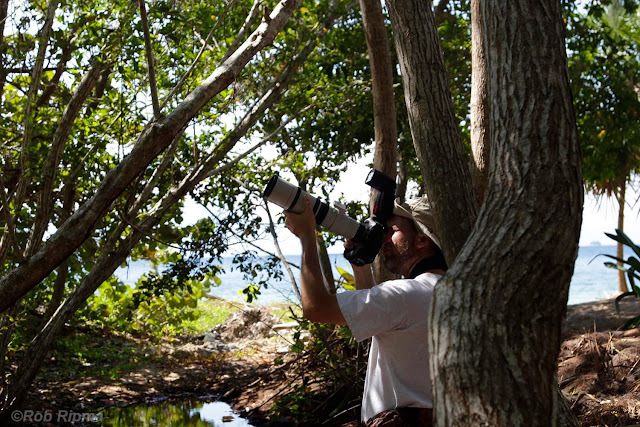 The waters surrounding Cayos are part of a marine reserve that was created in 1994. The reserve protects part of the Mesoamerican Barrier Reef System,and its main attraction is snorkeling. It turns out that the birding is pretty interesting too, and they have a really cool endemic subspecies of the boa constrictor, the pink boa. 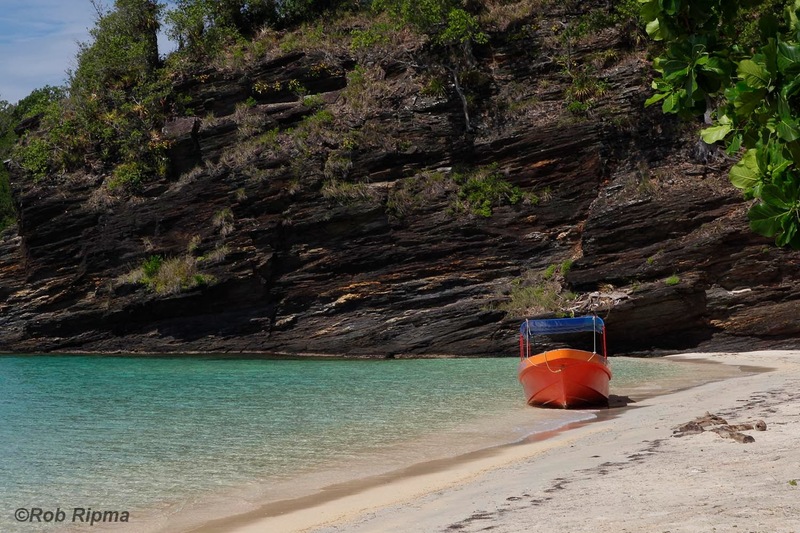 After a short drive from the lodge to the small beach side town of Sambo Creek, we hopped in a boat run by Tourist Options for the ride out to the islands. As we headed out towards Cayos, Brian and I were quite surprised to see quite a few Lesser Scaup heading south. Our first stop of the day was at the research station to check in and do a little birding. The Canivet's Emeralds (another hummingbird species in the region) were quite active, and there were plenty of iguanas for us to photograph. Two boats at the dock for the research station. Back out on the water, we spent some time going around the many small islands taking lots of photos and videos. One of the highlights of the day was when the captain of our boat spotted an amazingly large ray in the water while we were cruising along. Once we arrived in the area that is best for the pink boas, it didn't take Elmer long to spot two of them! Brian taking some shots of one of the pink boas. There was a Yucatan Vireo that had clearly spotted the snake and was doing its best to get it , but the boa was completely ignoring it. Suddenly a larger bird with a long tail flew over and landed in the tree behind us. We turned around to find a beautiful Mangrove Cuckoo! As we walked back towards our boat, we realized it would be a great photo op! The Lodge at Pico Bonito has arranged for a very special lunch for us on the islands. On the only small island with full time residents, we had lunch at a local home. The view from the picnic table was fantastic, and the fresh fish was incredible! 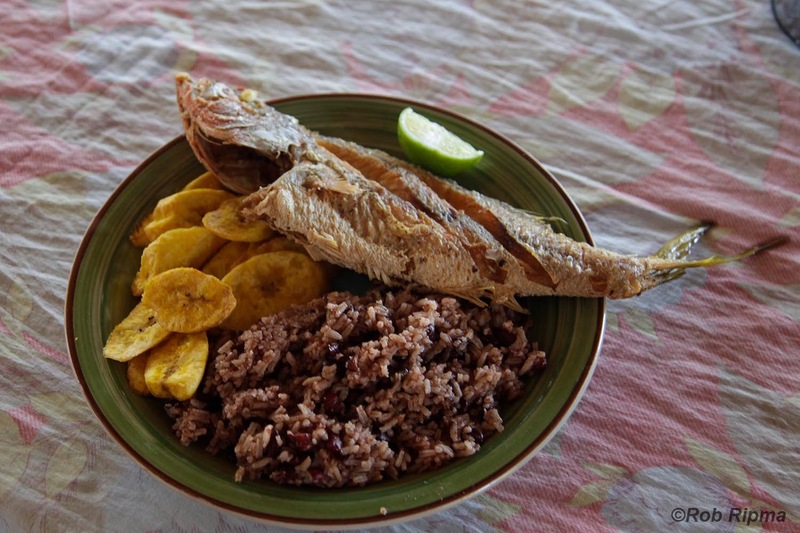 Our lunch was fresh yellow-tailed snapper, fried plantains, and beans and rice with hot sauce. A view of the area where we had lunch. It has a wonderful remote and tropical feel. While sitting at lunch, Elmer received a message that a bird I had really wanted to see all trip had just been found at the lodge. Take a look at what was waiting for us when we got back. Seeing this Great Potoo was the perfect end to the day and the trip. After a very brief hike the next morning and a great video interview with James, we took off for the airport and the much colder temperatures back home. We are all very excited to get back to Honduras and to The Lodge at Pico Bonito as soon as possible. I highly recommend the lodge and birding in Honduras for anyone that is considering a birding trip to the tropics. 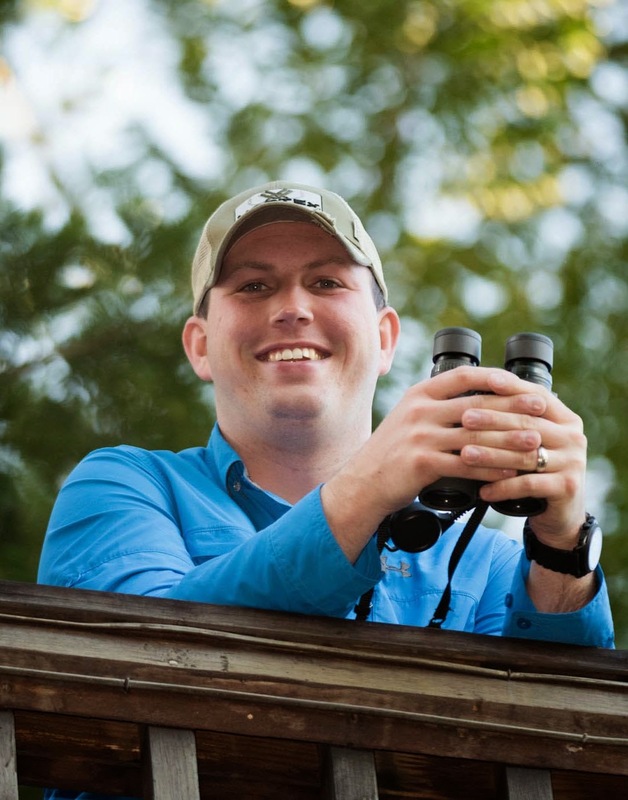 I'm also very excited to announce that I will be leading a Sabrewing Nature Tours trip to Honduras from December 4 - 13, 2014! 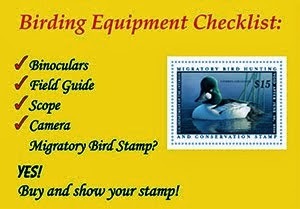 Look for details both here on my blog and on the Sabrewing Nature Tours website very soon. I hope some of you can join me in Honduras!